The Art Of... 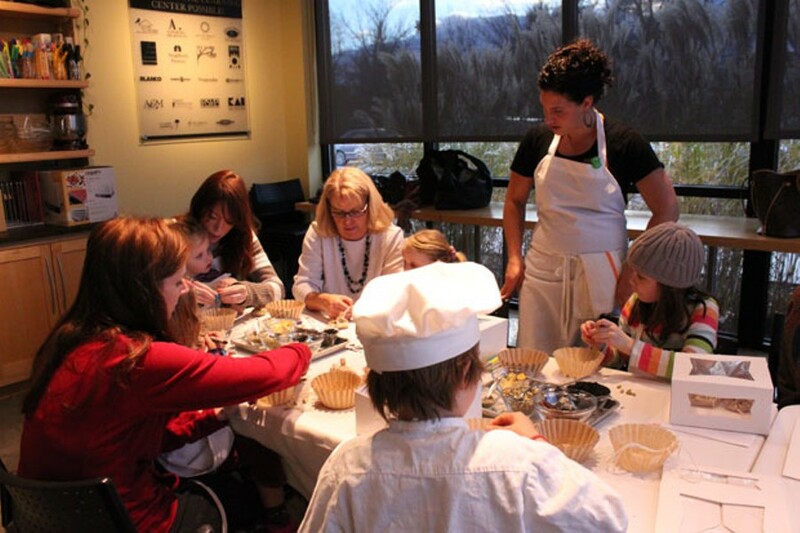 Cooking and Baking | The Art Of | Kids VT - small people, big ideas! Healthy Living offers Kids in the Kitchen classes several times a month on weekday afternoons from 3:30 to 4:30 p.m. A list of upcoming classes appears on the market's website, healthylivingmarket.com. 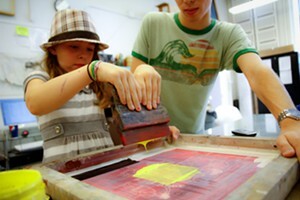 Classes cost $20 per student and children must be accompanied by an adult. Classes fill up fast, according to Lesser-Goldsmith, so register early online or by calling Healthy Living at 863-2569, ext. 1. "Things are going to get messy in here," Tyler Gibson warns as he strides into Healthy Living's Learning Center in South Burlington. The 8-year-old scrubs his hands and trades his coat for a canvas apron. My 5-year-old daughter, Mira, and I follow suit. We're here for Kids in the Kitchen, a Tuesday-afternoon class in which budding chefs learn to cook up sweet and savory treats. Tyler, Mira and eight other kids find places at a long table that's set with bowls and utensils for each child in the class. Parents — ready to act as sous chefs, if needed — stand behind their children. Chef-instructor Nina Lesser-Goldsmith, who trained at the French Culinary Institute in New York City, gets things going. "Who likes to bake?" she asks. "Me!" is the common response. And, with that, we're off — zesting, mixing and pouring our way through today's recipe for orange-cranberry muffins. Lesser-Goldsmith and her two assistants circulate with ingredients, and kids have a chance to measure them out and scoop them in their bowls. Cracking eggs and folding wet ingredients into dry ones is old hat for regular bakers like Mira and me. But we also learn exciting new techniques, such as using a Microplane grater to zest the oranges and adding sour cream to the batter. Lesser-Goldsmith, who belongs to the family that owns Healthy Living, hopes the take-away is more than the sum of the ingredients. Kids learn lessons about patience and sharing from cooking in a group setting. They also develop an appreciation for whole and seasonal foods. "Mostly I just want to give them an awareness of the value of time in the kitchen and the opportunity to try stuff," she says. "We get a lot of, 'Oh, my kid would never have eaten this before.'" Case in point: Tyler, who took part in several Kids in the Kitchen classes over the summer, says that they have pushed his culinary boundaries. "I did not like bananas," he explains. "I went to this cooking class and made banana pancakes. Now I like them." Virtually all the kid-friendly recipes share a fun factor, such as Stone Soup, a minestrone variation with a real stone in it; "Hot Vanilla" is a reverse hot chocolate with vanilla milk and chocolate whipped cream. Healthy Living's Learning Center hosts adult classes, too, as well as discussions, kids birthday parties and cooking demonstrations. But Lesser-Goldsmith says the kid classes are its most successful offering. While our muffins bake, the instructors hand out cardboard bakery boxes, along with markers for the kids to personalize them. They've also wisely pre-baked a batch of the muffins, which the young foodies happily gobble up. Mira beams with pride as she receives the final product, moist orange-scented muffins studded with fat cranberries, in her custom-designed box. "They look amazing," she informs me. They're irresistible, too, as I discover on the car ride home.